Sarri appeared to have snubbed Guardiola’s handshake after the final whistle where Chelsea were ruthlessly brushed aside by the hosts. Chelsea were drubbed by Manchester City. They are now sixth in the points table and with Manchester United continuing their fine run, it will be tough for Chelsea to crack into the top four again. 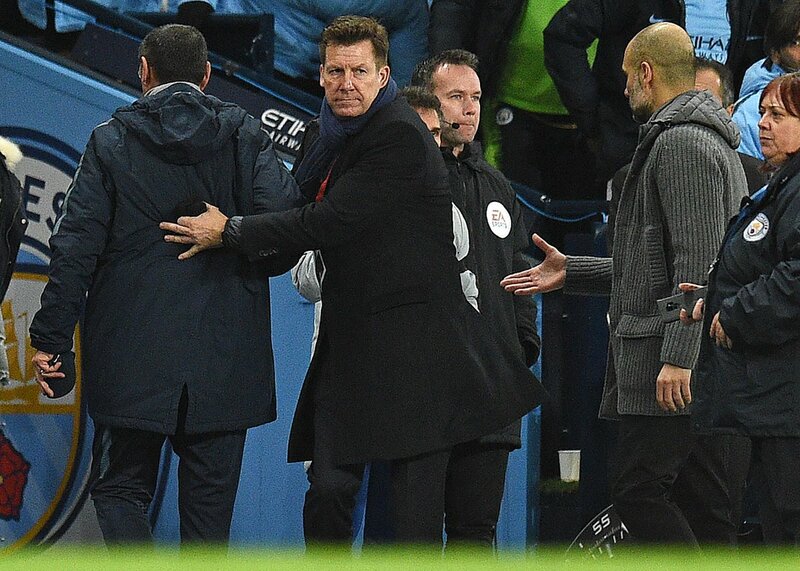 At the end of the final whistle, where City had humiliated Chelsea, Sarri appeared to be refusing Guardiola’s handshake. The former Napoli coach asked why said he hadn’t seen the City coach. He said, (via football.london). Sarri has cleared the air that he had not seen Guardiola. Had he not said this, it would have gone on to become a big debate in the social media. Meanwhile, Manchester City coach said that Zola had told he had not seen him. At the moment, Sarri’s role at Chelsea remains under scrutiny and we will need to wait and see what decision the club will take after this humiliating defeat.